"Woodlands is an outstanding example of the "classic Tryon architecture that imparts such distinctive charm and grace to this region. 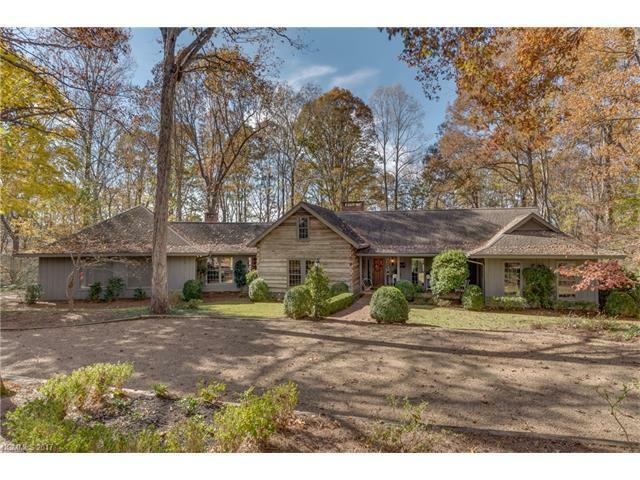 Anchored by a great room with brick fireplace, wet bar, vaulted ceiling, and full-length windows offering dramatic views of the wooded landscape, the floorplan of this four bedroom, four full bath home is perfect for entertaining and would suit any number of family needs. The wood-paneled dining room provides an elegant space for formal dining, while the fully equipped kitchen has an adjacent breakfast or sitting area with fireplace for more relaxed entertaining. Situated on 3.47 professionally landscaped and meticulously maintained acres with a heated pool, patio, and a spacious deck, this residence offers privacy as well as proximity to local amenities and to I-26. Sold by Re/Max Advantage Realty / Tryon-Polk. Offered by Claussen Walters Llc. Copyright 2019 Carolina Multiple Listing Services. All rights reserved.